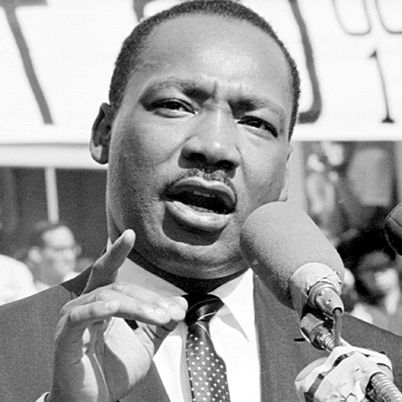 Communications Lessons From Martin Luther King, Jr. In the half-century since Martin Luther King delivered his final speech, many social movement leaders and politicians have walked in his footsteps, but few have matched his gift for leadership and, yes, public relations. Like most great leaders, King was a natural communicator. Here are some of the timeless communications techniques that King used to catalyze change on a grand scale. Take the high road. Despite the ugliest possible insults and threats, King never stooped to the level of his opponents. Nor was he too passive, although his non-violent philosophy angered some who advocated for more aggressive tactics. King walked the fine line between passivity and combativeness by linking his appeals for racial justice to the very principles that our democracy was founded upon, and to the very best in human nature. Inspire, don’t incite. Closely linked to his “rise above it” approach was King’s ability to inspire followers, even the unsure or weak. That charisma and courage are summed up in the phrase, “The ultimate measure of a man is not where he stands in moments of comfort and convenience, but where he stands at times of challenge and controversy.” He didn’t just talk the talk, he marched the march. Cultivate allies. King not only developed advocates and allies for his own vision of racial equality and equal opportunity, but he fostered cooperation among various disparate groups as part of the overall civil rights struggle. He has a genius for consensus, which is essential to true leadership. Talk about ideas. The first rule of thought leadership is to harness your mission not just to tangible goals but to abstract ideas. That’s one reason why the King dream was so compelling, and why it endures today. He invites us in by painting a picture of his vision of racial harmony, and by connecting it to a shared future. Tap the power of language. Was there ever a more perfect speech than the iconic “I Have a Dream” address of August 1963? It is 17 minutes of flawlessly crafted and impeccably delivered rhetoric that will live forever at the core of the King legacy. Great points! Imagine what he could have done with today’s social media tools! Could I please have a copy of this picture and doc.